Happy Saturday! Or should I say Happy Sweatpants Day! 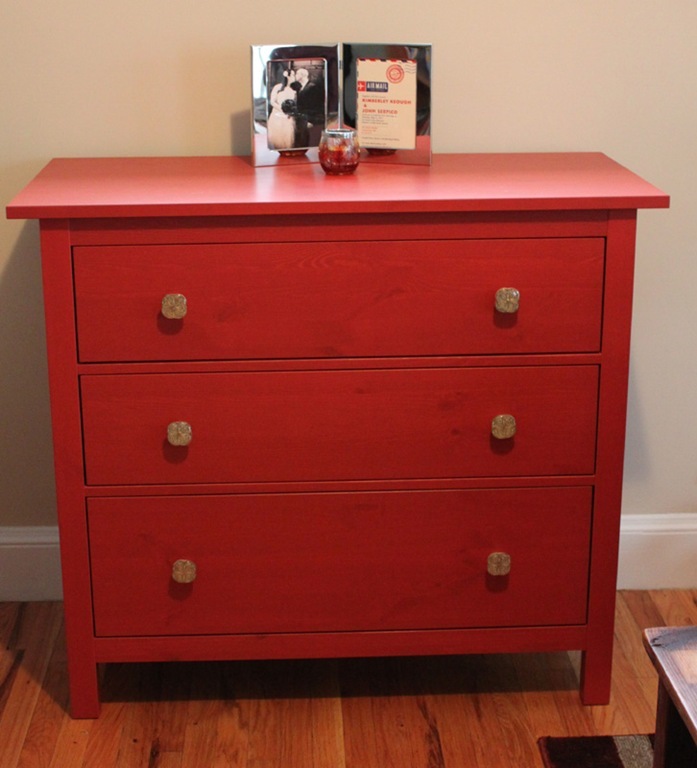 Remember the pretty red-coral sideboard we bought? I finally got some new hardware for it that I wanted to write a quick post about. 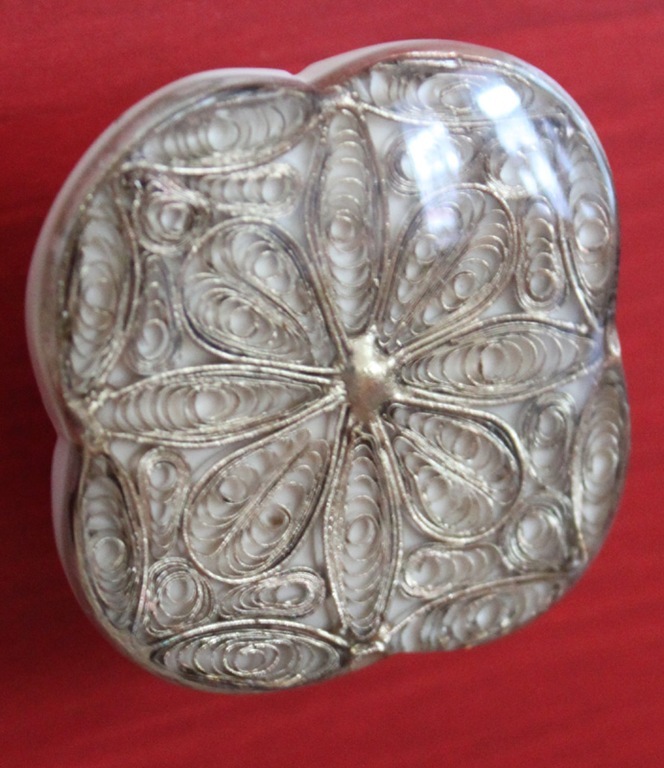 Of course, I found these lovely gold filigree knobs at Anthropologie. Boy, do I love their hardware. I find all of their options to be classic yet modern, chic and stylish. They are spendy but it’s worth it. They are durable and timeless which, in my mind, is a good rule of thumb for any investment. I think the gold ties perfectly to our hardwood floors as well as with the wall color. 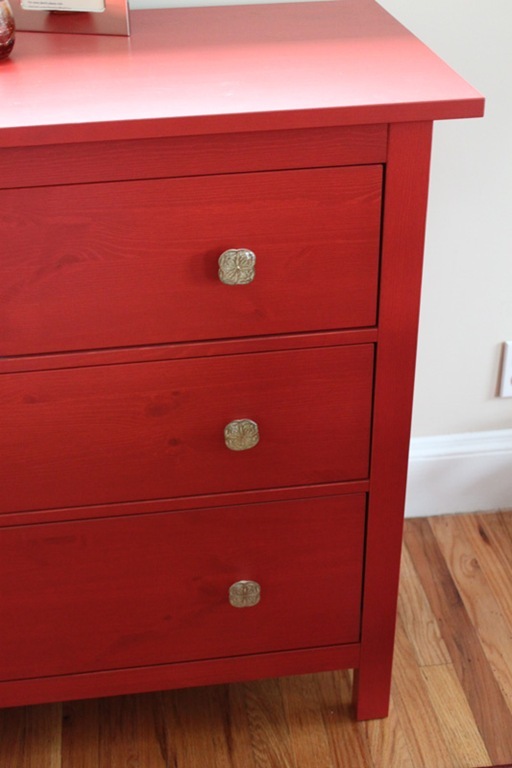 The previous metal knobs were too industrial and tough looking. I wanted to soften the sideboard and make the colors more multidimensional. I’m really happy with how it turned out! What do you think?? Also, what are you up to this weekend? Pretty! They go really well with the sideboard, too. My weekend’s relatively boring, but given the pace of the past few weeks, that’s a-ok with me! I spent today doing laundry and cooking food to eat throughout the upcoming week. Really pretty – you have a real knack for that sort of thing…..
Aww, so sweet, thank you!